Eugene Kaspersky (left) Kaspersky Lab Founder and CEO and Stephan Neumeier (right) Kaspersky Lab Asia Pacific Managing Director open yesterday the global cybersecurity company’s new APAC headquarters at the Harbourfront Tower One in Singapore. “The move to our current location will allow us to grow and will deliver greater efficiencies. It will enable us to deliver key results to the company. Settling into our new space in this strategic location will meet our business needs for accessibility and more. Harbourfront will cater all these needs," says Stephan Neumeier, Managing Director of Kaspersky Lab Asia Pacific. 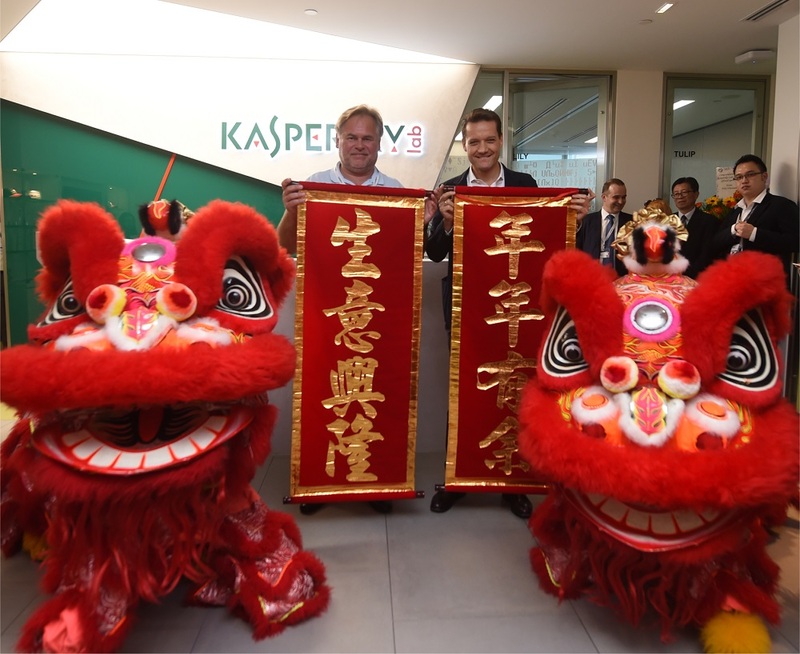 Neumeier welcomed Kaspersky Lab Chairman and CEO Eugene Kaspersky to the opening ceremony of the new office. Choosing Singapore for the location of its regional headquarters was a strategic decision of the cybersecurity company, based on the city-state’s favorable status as a top global financial hub. Kaspersky Lab was also attracted to the city state because of its technology-pervasive atmosphere, and the strength of, and government support for the cybersecurity industry. Eugene Kaspersky (left) Kaspersky Lab Founder and CEO and Stephan Neumeier (right) Kaspersky Lab Asia Pacific Managing Director yesterday grace the opening of the global cybersecurity company’s new APAC headquarters at the Harbourfront Tower One in Singapore.